Iriomote Island is the second largest island after the main island of Okinawa and a treasure box of nature with more than 90% of the island is covered in jungle. The entire island is designated as a national park, and many tourists visit the island each year to experience the rich nature that it has to offer. The sea, mountains, rivers, waterfalls, and all kinds of living creatures bring a distinct charm to Iriomote Island. 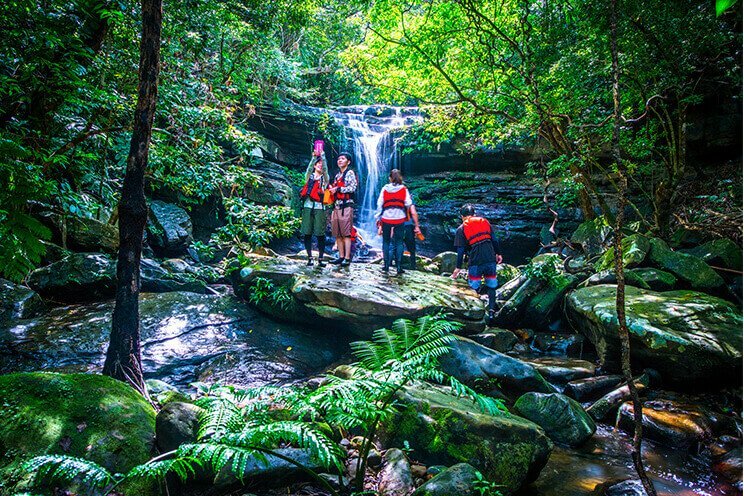 In Iriomote’s majestic nature, said to be the last hidden secret of Japan, you can have adventure-like experiences that you could only dream of in the city. 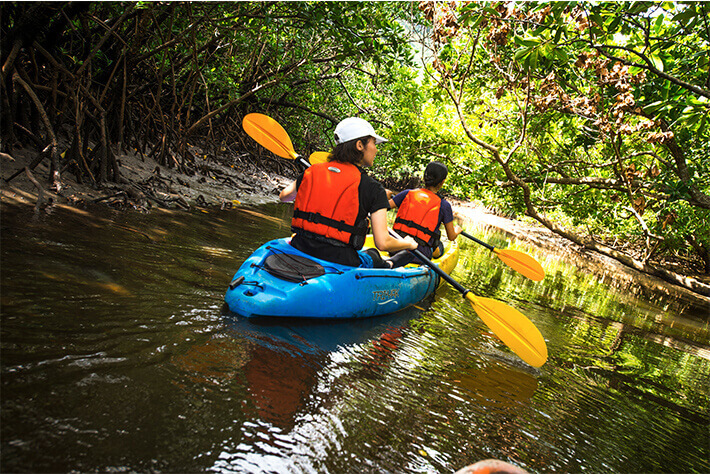 Trekking and canoeing programs that can be enjoyed with your family and the jungle cruise, which allows you to leisurely explore the river home to mangroves on both sides are just some of the popular choices. Iriomote Island is a theme park of vast nature that can be relished by children and adults alike. 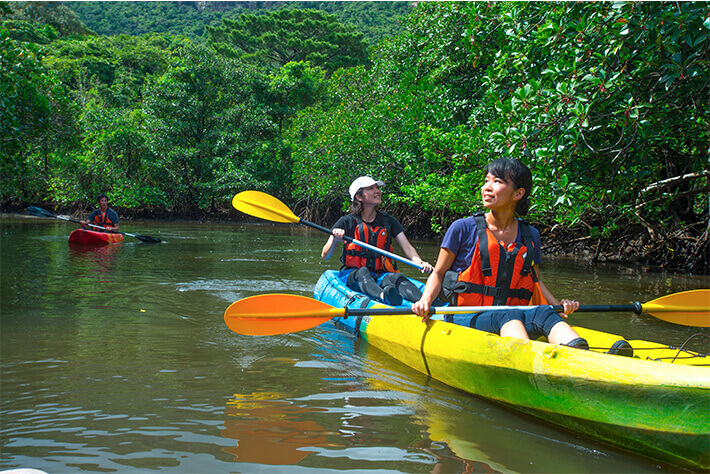 From a trek through the mountains to a canoe down the river surrounded by mangrove jungle, Iriomote Island is truly blessed with rich wildlife. There are so many ways to enjoy your time on the island that it will almost have you lost as to what kind of leisure activity might suit you. 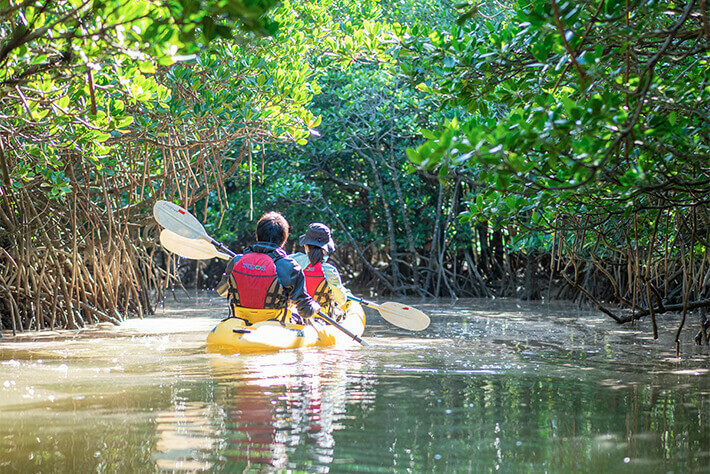 If you want to indulge in the nature that covers the entire island, you may find kayaking or taking the trail of mangroves to be your best bet for exploring the jungle hassle-free. In addition, Iriomote Island is also known for having plenty of other ways to enjoy your time on the island, such as going on a full-fledged trekking trip to reach popular spots including the Pinaisara and Mariyudu waterfalls as well as going on a search for creatures inhabiting the Yaeyama Islands while cruising down the Urauchi River, the longest river in Okinawa. 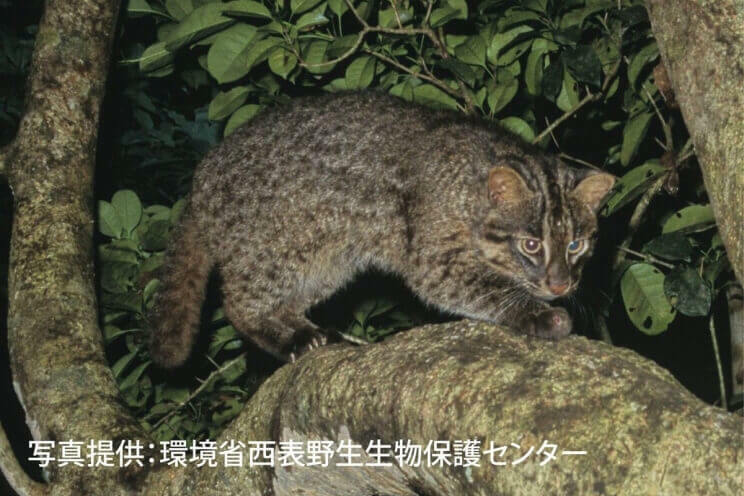 The Iriomote wildcat, a nationally designated special natural treasure, is a native species that lives only on Iriomote Island. It is estimated that around 100 of them inhabit Iriomote Island, and they are said to be declining in number year by year. At the Iriomote Wildlife Conservation Center in the eastern part of Iriomote Island, you can find valuable images and informative materials on the Iriomote wildcat while also learning about other creatures inhabiting Iriomote Island. From the beginning of April to the beginning of June, many small lights that sparkle on the waters of the jungle are that of the Yaeyama Hime fireflies, one of the unique species of the Yaeyama Islands. Look up at the sky to see the innumerable stars that go so well with the fireflies and you will suddenly find yourself at a natural planetarium. 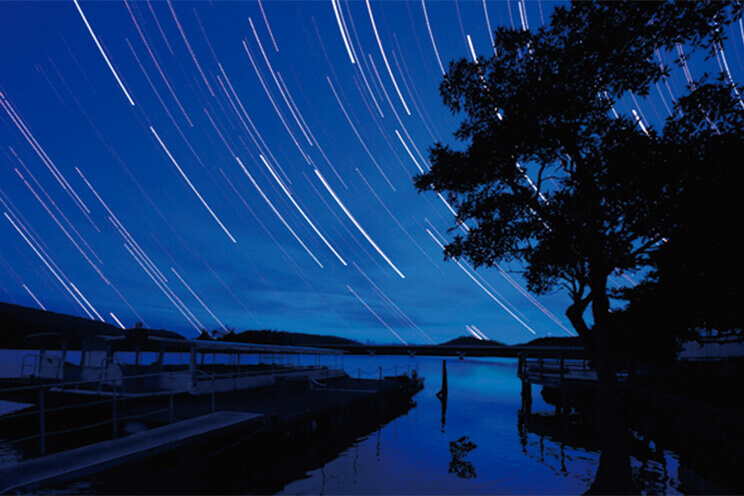 The scene of the beautiful starry sky and fireflies of Iriomote Island is a precious sight unique to this island. From the end of June to late July when the Barringtonia is in bloom, you will also be able to enjoy the fantastic scene of the Barringtonia petals covering the surface of the water while emitting a sweet scent.